RUGS: Make sure you purchase the right size. 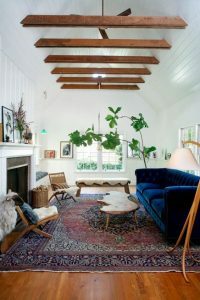 For your living room, rugs should anchor the entire room, not just the coffee table. Dining room statement rugs need to extend further than just the chairs. Bedroom rugs are not just for the foot of your bed, they should also cover the sides of the bed, anchoring down your nightstands. 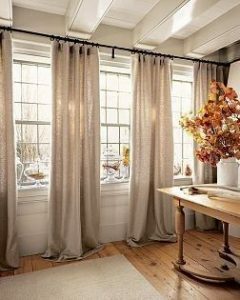 CURTAINS: Always use a curtain rod that is longer than your window (including window frame) so when pushed to the sides, your curtains don’t stack in front of the window. Many windows don’t go all the way to the ground, but this doesn’t mean your curtains shouldn’t. Longer curtains make your space feel bigger, especially if you have low ceilings. ART: Hang art at eye level. 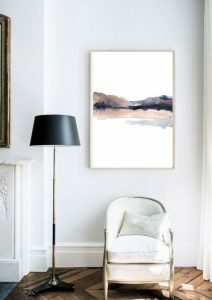 Don’t hang art way too high or too low, most art work looks best hung where the center of the art is between 57″-60″ (around eye level for most people). LIGHTS: Don’t limit yourself to just one bright light source, typically ceiling lights. 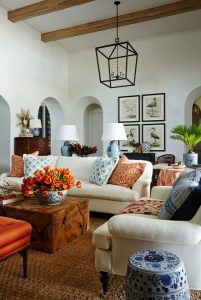 Add a variety of light sources like floor lamps, sconce, table lamps at different locations throughout the room to add warmth and depth. 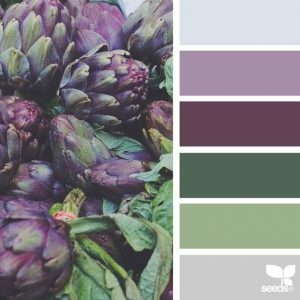 COLOR: Many interior designers look to nature for inspiration. Not an expert with color combinations? Look out your window and see what nature is doing. Follow sunset hues or floral patterns or even a desert scene. Need more design tips or custom furniture? Come visit us at Rockridge Furniture & Design or call us at (510)652-5753.